I'm trying to find a rhythm for my work that puts the least stress on my arms. They are already sore from the work the way they were after months of work last year. I gave them somewhat of a rest over the winter, but now I'm deep into it again and feeling it. 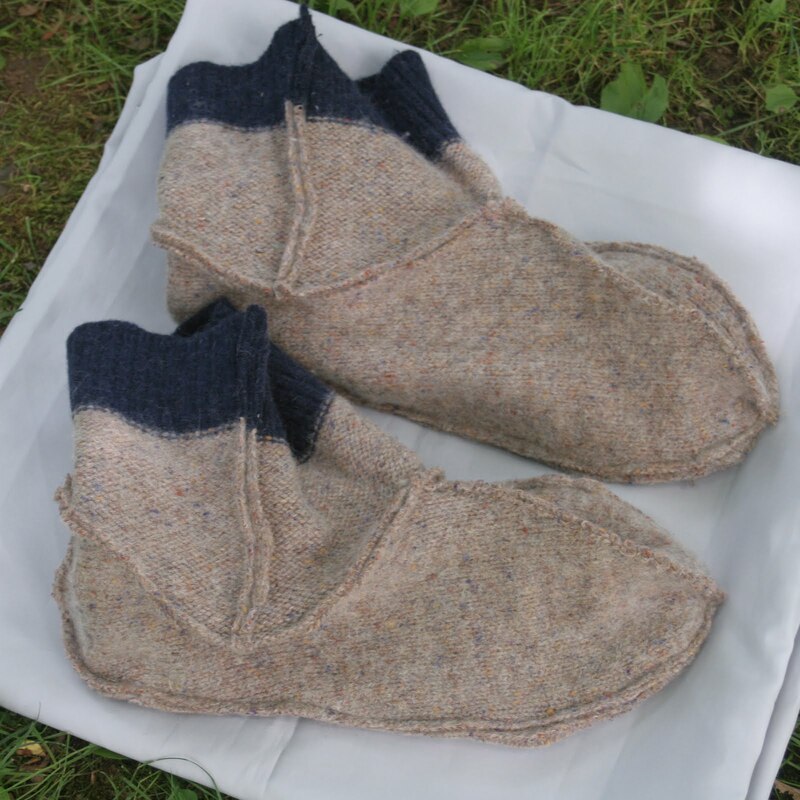 So what I am going to try for now is doing different kinds of work on different days - a day for cutting and designing, a day for sewing, maybe a day for felting or just a day off. So yesterday was a sewing day. I pinned up more than I sewed, but here are the things that got sewn. 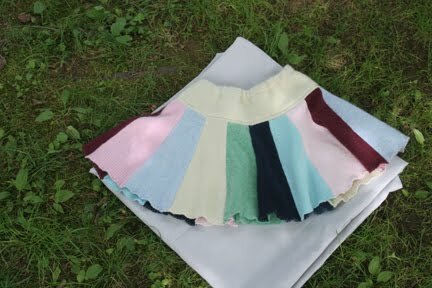 Above is a custom skirt made for a six year old, entirely of cashmere. So soft! Mittens and a pair of wrist warmers. A pair of slippers before they are felted. Aren't they crazy? Today I'll be cutting and designing, and working with The Boy on his end-of-year project. The end of school is nigh!